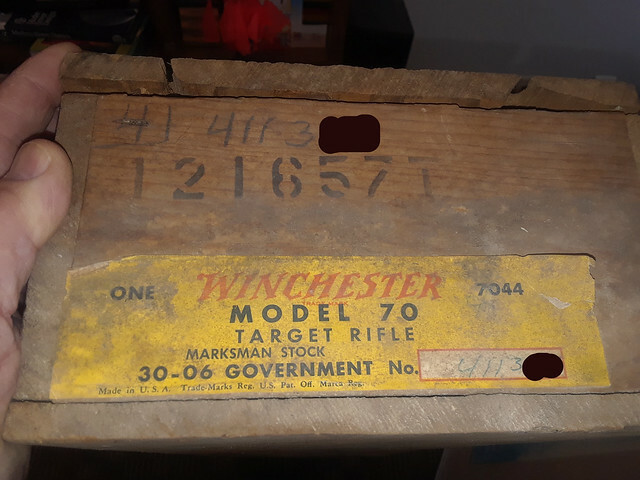 Shipping box for Winchester Model 70 Target Rifle from 1957. Thought others might find the pictures of interest. 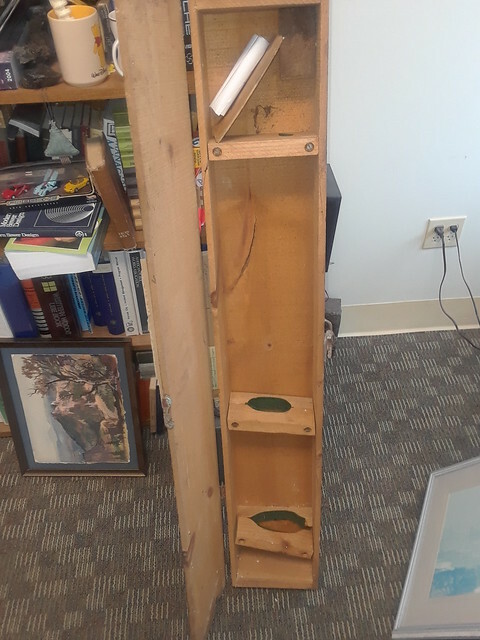 I know the person who bought it originally (now deceased), and the person that knows the person that has the rifle now (who is not selling) and does not want the box. (wow!) He came out of ROTC was stationed at Fort Sill where he purchased this rifle. Last edited by MGMKS; 02-15-2019 at 05:59 PM. PLEASE, explain to them that they are making a HUGE mistake by not keeping the crate. It is YOUR job to hold on to it and talk them into keeping it! I've tried convincing them to sell me the rifle at a premium, or buying the box for a little more than I paid for it. No Luck. Time to try again! Time to send in the stealth squad and steal the rifle. Crime not to keep it with the box. Call his commander and have him flogged. Feller needs someone to smack him around, he is messing with history. So what’s the “separated at birth” story on these twins? PO was from a longtime prominent local family. He bought this while at Fort Sill - special order noted on side of box not photo'd. Was ROTC, think he made Captain and was associated in part with the nuke tests in So. Pacific. He was a bit of a recluse in the time I knew him (1988 - 2016). I believe the "story" goes like this - his firearms were described items in the will. They (well - this one anyway) had been stored separately from their boxes. As seems to be too common - some issues in the settlement of the estate created friction between family, caregivers and the will. Ultimately - this rifle went one (quite unexpected) way, and the shipping case came mine at the estate sale for a fair price. I talked some time later to the people in charge of the estate and tried to buy the rifle. That failed - and I tried to sell the case to them. That failed too. I still have hope that they will be reunited. Hope it is with me. Although the PO was a cranky person, his life has a story to tell about his service, his family, and his impact on the local social fabric. Other side of case shows he bought this at a Lieutenant, and paid $165 for it. Rifle dates to 1957. I was told he qualified as "sharpshooter". This would have been one or two years out of college while at Fort Sill, OK. Cannot find my research from last year - but recall this serial number is just outside of the range of rifles purchased by the Army for competition in that time period. I have the cardboard box for my grandfather’s model 70 from the 50’s. Not sure on the date. Have the hang tag with the price too, and all the papers 😁. Have the rifle to go with it. I’m surprised he saved it. I’ll share pictures later if theirs interest. Just don’t want take over your thread. Nice crate! 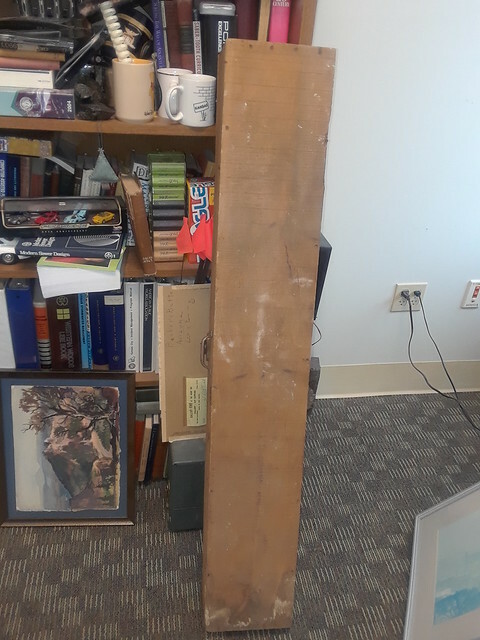 I am fortunate to have a rifle bought out of the program that has the cardboard box. Its a 1903A3 in great shape and the provenance to go with it. Its got tags and name and all that. I saw a post where a buy said the box was worthless (different gun) came down on him like a ton of bricks. Here’s the photos of my box. Yours is something else!